When I woke up from surgery I could feel this huge bandage, like a pillow, on my neck. I felt like Frankenstein. I didn’t dare move my neck because I had visions of my head falling off. But the bandage had to be changed, and that’s when I plucked up my courage to look in the mirror. What I saw was surprisingly innocuous. Instead of a huge wound, there were a few stitches, and some long but shallow cuts, spanning one side of the collarbone. It was 5 days before surgery. Two months after the mastectomy. My left arm was still paralysed. I’d thought I could sort out the brachial plexus nerve compression damage with osteopathy, chiropractic treatments, hands-on healing and acupuncture. Everyone was praying for me. But while the treatments helped ease the area and calmed me down, they did not resolve the issue. I was in denial up to the moment the nerve surgeon delivered the ultimatum, hoping that a miracle would happen, that my prayers would be answered and I would miraculously wake up with my arm back again, without having to go through surgery. In the surgeon’s many many years of experience, the only thing that would work to relieve the nerve compression, was surgery. And there was a sense of urgency: a narrow window of time in which surgery had to be carried out, otherwise there was a chance the nerve damage could become permanent. I had no choice really. My arm still hung limp and useless. I had to go back to work and needed my arm. The nerve surgeon assured me that some function would return after the surgery. … what if it doesn’t work? … what if I die? … what if it gets worse? … what if I get lymphoedema? There were the usual pre-surgical tests which involved blood tests. When I gave the doctor my medical history, she said: “yes, the world is full of suffering”. When I pointed out that a lot of people didn’t have to go through what I had, she said: “don’t worry, something bad will happen to them”, as though there was some sort of karmic steam iron going around putting new creases of fate in the bedsheet of people’s lives. Or that life was a mix of good experiences counterbalanced by bad. I had no answers. Only fears and doubts and worries at the moment. I couldn’t believe that in 5 days’ time I would be having surgery for the second time in 2 months. That sinking feeling I’d had when I was first diagnosed, of having my breath punched out of me, just as the roller-coaster plunged down a fall, had returned. Needless to say, after the mastectomy left me with a paralysed arm, the only self-help books I could bear to read were those of people who had been through shittier situations and come through smelling of roses (or in the case of positive thinkers, thinking and affirming they smelled of roses). The first book I will recommend is “The Impossible just takes a little longer” by Art Berg. I actually read the book years ago, before the brachial plexus disaster – how prescient of me! The author, Art Berg, was a young man, a star athelete, on the verge of getting married to a beauty queen and sweetheart, when his car got totalled. The accident left him totally paralysed from the neck down. (Just like Christopher Reeves, except he pre-dated Christopher Reeves). I indulged in “if-onlys” in the months after the nerve injury. If only I hadn’t had the mastectomy, I would still have my arm. If only I hadn’t had an implant put in, my arm wouldn’t have been positioned for 3 hours in a way that caused the brachial plexus injury. If only I didn’t have the brachial plexus injury I would be able to get on with the rest of my cancer treatment. Having taken the decision, after two years of pursuing complementary therapies, to go the allopathic, conventional route with surgery, what happened was a cosmic slap in the face. My breast surgeon tried to jolly me up with his brand of British stiff-upper-lip positivity: “glass half full, glass half full.” But he wasn’tthe one who had to live with a paralysed arm. Imagine how he would feel if he lost the use of his arm and couldn’t practice surgery, or couldn’t play a round of his beloved golf. 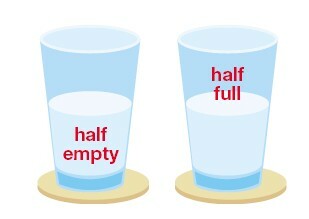 Would he be able to smile at me and say his glass was half full? What happened shook my faith in the world as a beneficient. Someone commented that I was negative. I guess I was. My life up to that point, had been uneventful, even boring. Oh, I wished for my boring life again. Suddenly, I was plunged into some sort of nightmare, without the emotional resilience or skills to cope with such a setback. So yes, I apologise if I wasn’t jolly and positive and singing New Age affirmations. Because that’s not the way I am. Before the mastectomy, I was the poster girl for dealing with cancer using complementary therapies. After the mastectomy, I couldn’t even look either camp in the face. I felt as if I’d failed by abandoning complementary therapies (“look what happens when you embrace the allopathic”), and going the conventional route. And I didn’t have the faith that the allopathic camp have in conventional cancer treatment any more. If this very rare complication can happen to me, during what was fairly routine surgery, what next?